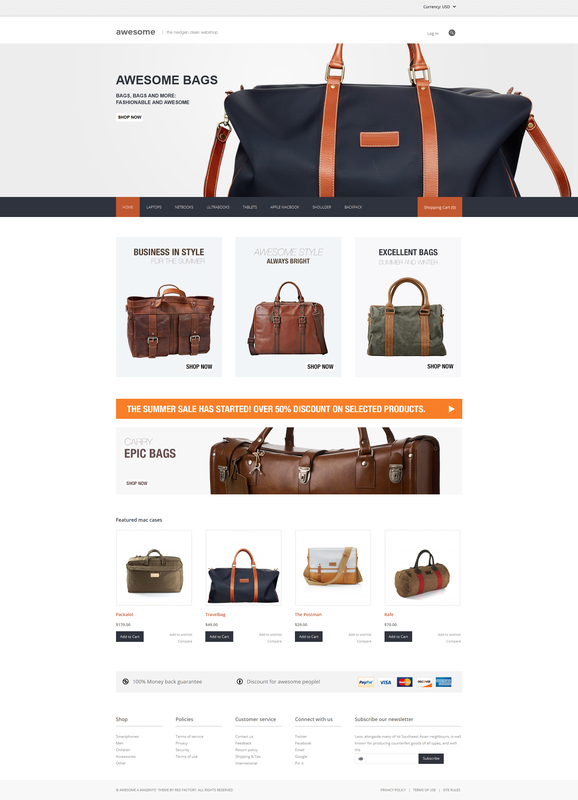 Multi is a easy to use, highly customisable, and fully liquid responsive Premium Prestashop Theme. 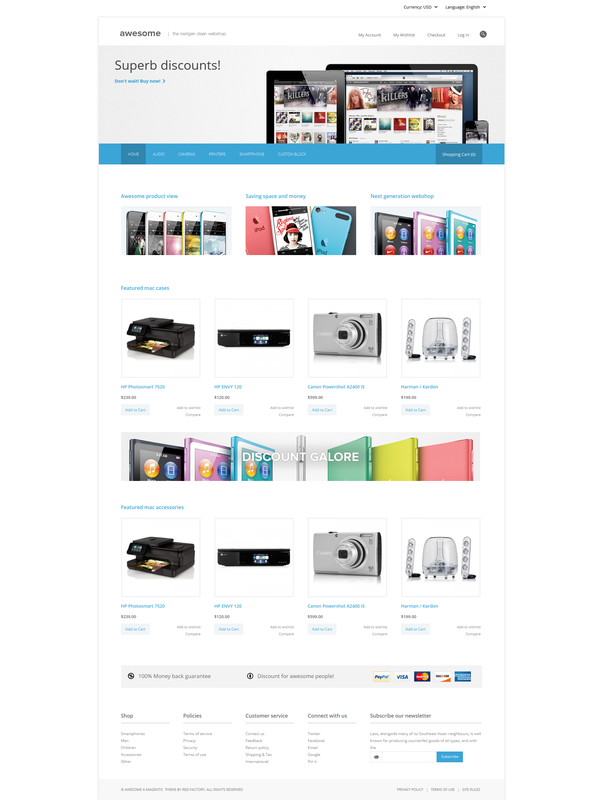 The theme is suitable for any kind of store and contains multiple different child themes. Also super easy to use as boilerplate / starting point for all you custom projects. 1.5., 1.6.0. and 1.6.0.9 NEW!!. 3000Themes provides premium, quick and friendly support over at our support site 3000themes.com. We monitor our support channels daily, normally during our office hours 9am to 5pm CET. but ofter far beyond and during weekends. 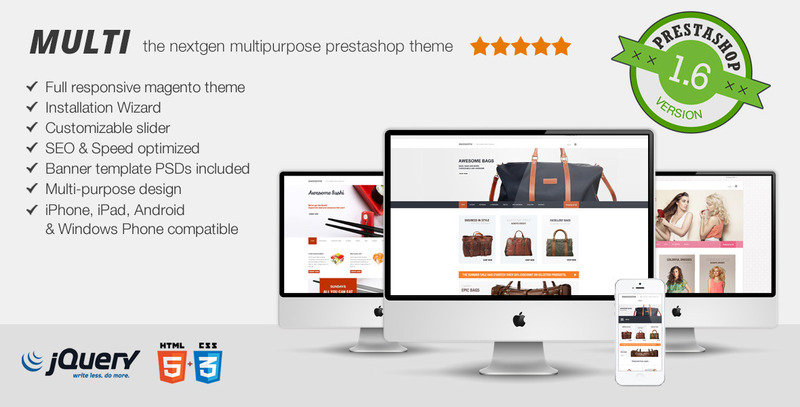 For all buyers that registers their theme on our support sites receives extra bonuses like to free PSD files of the themes and extra customisation tips and idea’s. Unlike many other authors we provide great customisation service, this means we can help and assist you on any Prestashop question but also services like installation, design customisations and feature requests can be requested on our sites support forums, feature requests that are a addition to the theme we charge nothing at all! Many themes are build on top of the default, or other themes available in prestashop, this stops the ability of making your own child themes, and keep the source updatable. Unlike other themes we let your develop your own child-theme, the basis the called “default”, we already build 3 unique child-themes “Bags”, “Fashion” and “Sushi”. You can use this as reference point to continue. Personally in our organisation we build around 80 to 100 custom sites for our clients, All of these use Multi as basis, you can do this as well. Checkout some of our projects on our website Microdesign.nl. No core files have been modified, keeping both the theme and prestahshop perfectly upgradeable! Unlimited color – Change colors of the enitre design, fonts, backgrounds, and more. 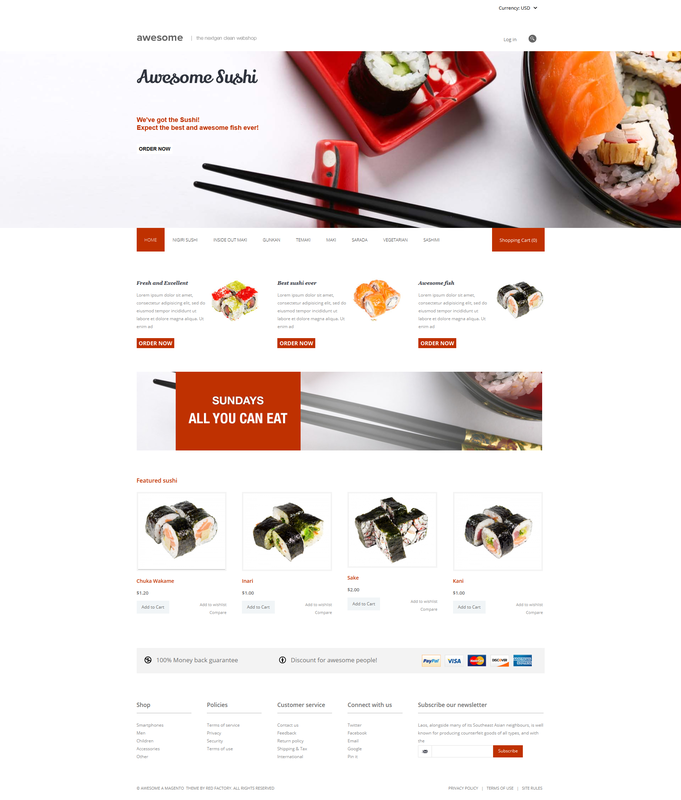 12 Col grid – Based on the easy 12 columns grid, expand it yourself, easy to customize and responsive right away. User friendly mobile navigation – For the smallest devices (smartphones) a super easy multi-level menu. Different colours – Want your sub navigation in a different color, no problem. Random product list – Want to show products on your homepage? Use our random product list widget, use it for bestsellers, popular and new products. Mobile grid – The mobile grid has 2 product per row for optimal overview. Customizable image size – Sizes of the images are flexible customize to your likings. Loads of CMS Blocks – The entire theme is filled with CMS blocks which you can use/customize and fill to your liking giving you ultimate flexibility. These static-blocks are available on the homepage, product list pages, product page, cart, checkout and any other page you might think off. Speed improvements – Many of the themes available on themeforest are full of extreme features to appeal to a big audience but in fact it makes themes slow, and prone to bugs and errors, this theme is very much optimised for speed and stability. Documentation – This theme includes important documentation to install configure and change the theme to you likings. More to come, still writing…..
We promise that all our update are completely free of charge!, we also update the theme as often as needed, expanding it with functionality, and improving stability, feature set and extensibility, all our updates will be easy to install and update to keep your installation fresh and useable.